﻿ Montagu Springs Resort Montagu. JIMAT di Agoda.com! Ada soalan mengenai Montagu Springs Resort? Bagi para pelawat yang ingin menikmati sepenuhnya pengalaman di Montagu, Montagu Springs Resort merupakan pilihan tepat. Dari sini, tetamu boleh menikmati akses mudah kepada semua yang bandar meriah ini boleh tawarkan. Dengan lokasi yang mudah, hotel ini memberikan akses mudah ke tempat yang anda perlu lawati di bandar. Menawarkan tetamu hotel perkhidmatan yang unggul dan pelbagai kemudahan, Montagu Springs Resort komited untuk memastikan penginapan anda berada di tahap seberapa selesa yang mungkin. Fasiliti tetamu kurang upaya, simpanan bagasi, Wi-Fi di tempat awam, tempat letak kereta, pengangkutan lapangan terbang merupakan beberapa kemudahan yang membezakan Montagu Springs Resort daripada hotel-hotel lain di bandar. Hotel-hotel telah direka demi keselesaan dan memudahkan tetamu. Sebahagian bilik menyediakan kolam renang peribadi, bilik larangan merokok, penyaman udara, pemanas, meja. Hotel ini menawarkan pelbagai kemudahan rekreasi yang sangat baik, termasuk kolam renang terbuka, taman permainan kanak-kanak, kolam renang (kanak-kanak), gelanggang tenis, taman. Montagu Springs Resort merupakan pilihan yang bijak bagi pelancong ke Montagu, menawarkan penginapan yang santai dan mudah setiap kali. We stayed at the Golden Terraces. The chalets need a decent revamp all round. The kids enjoyed the heated and mineral pools - these were at an extra daily cost and not included in the price per night. There is more than enough entertainment for the younger and older kids with the astro turf, tennis court and mountain bikes. Lovely places to visit in the surrounds. The rooms are on desperate need of remodeling eg. Furniture, couches, crockery, cupboards, bathrooms etc. There was an infestation of cockroaches in both our units (Golden terraces and large plettenberg). The cold water swimming pool (R10 entry) has no indication of depth nor any lifesaving rings. We had no idea how deep it was and nearly drowned trying to save another person. I was very disappointed in the air conditioning. It was so hot and the air-con was not working, the staff did supply us with portable fans but it was still ridiculously hot and it was very unpleasant for the entire weekend. I don't think that i was given the best value for my money, if the resort knew the air con was not working why did they still book me into that chalet???. Very disappointing. We loved every minute. The views from our Chalet were spectacular. The chalet was beautiful and clean. Really a most enjoyable stay just wished it was longer. Very enjoyable. Really enjoyed the hot water pools. 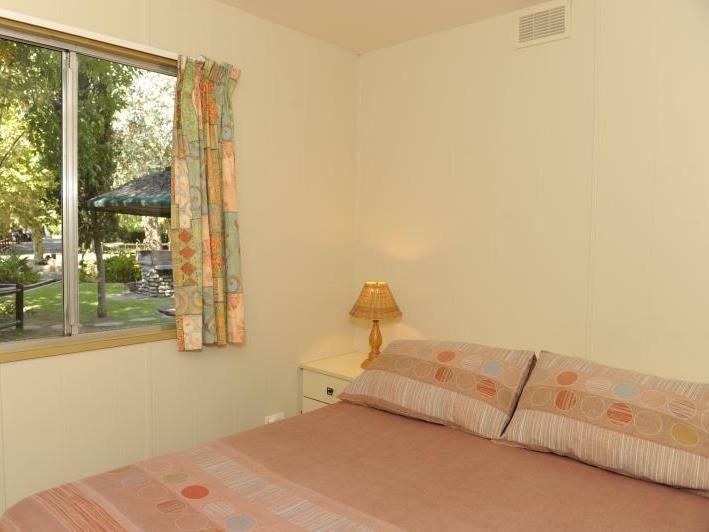 Staff were very helpful.Chalet was nice and clean. A better tv would be appreciated. 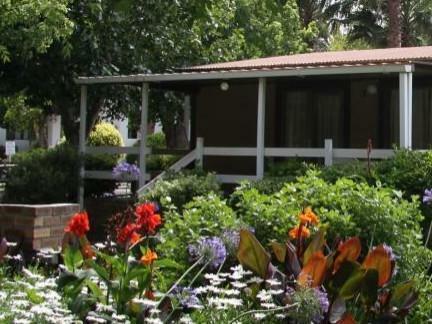 The location, the tranquil surroundings and friendly staff. My stay at Montagu Springs was very relaxing. I find that the resort is family-centered and is very safe. I have two boys aged 8 and 12 and I felt at ease letting them explore the resort, as well as enjoy the amenities on their own. The available activities that the resort has to offer can keep the younger people entertained while also catering for the older folk. What I did find to be negative was the fact that the hot water pools are no longer free for residents of the resort. For a large family, the use of the amenities can become quite expensive if you are staying for a little while. Other than that, I was very happy with my stay at Montagu Springs. Very much enjoyed our stay. Friendly and helpful at reception reception. Gate security very friendly and informative. Rooms were clean with kitchen well supplied with crockery, utensils and cutlery. Very clean amenities outside eg swimming pool and general conditions. The unit allocated to us upon arrival was disgusting. The aircon,fridge,stove were some of the things not working. We had to clean the toilets ourselves to make it usable. We had the use of a different unit for the remainder of our stay and this was better ,but as dirty as the first. Everything in these units are grubby. The Wi-Fi which cost me R300 was weak and I could not even connect. The rental systems for pools and bicycles must be revisited as it is unfair and money driven. How can you lose the money paid for use of the hot pool if u did not use the bands? This place is in a great location.It has friendly staff ,but needs to pay attention to detail. Was in the resort. Child friendly, peaceful and clean. The stay was good overall, the cabins we stayed in was not of the best quality but it has everthing we needed. I loved the gardens and the braai facilities. The kids enjoyed the stay trumendously. We stayed overnight in a large Plettenberg. Check in staff were very helpful in rectifying a booking problem on the part of Agoda. The Plett was large and roomy. However, it was tired and run down, as was the lower park generally. Nothing seriously wrong, but fairly average, and not such good value for money. Outside facilities and play areas for kids, etc were good and the swimming pool looks great - too cold to use!! Call the Resort to book!! Received booking confirmation but the resort was already fully booked! The resort found cancellations and we stayed in 2 different rooms for a 2 night stay!